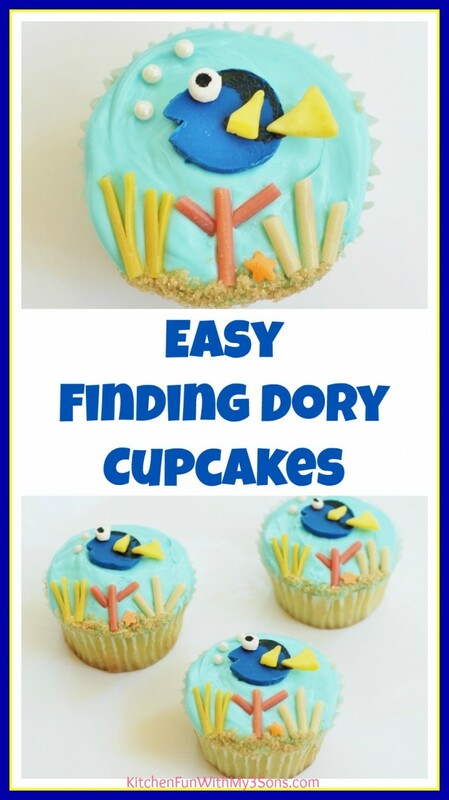 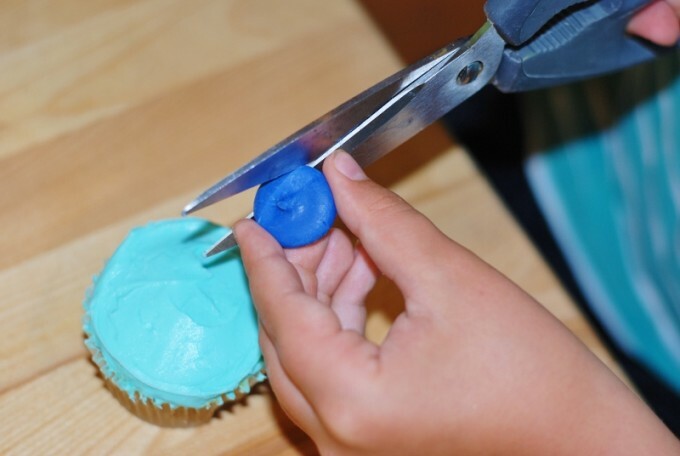 These adorable Finding Dory Cupcakes are going to be a a huge hit with your little ones and they are SO easy to make using various candies. 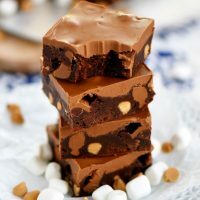 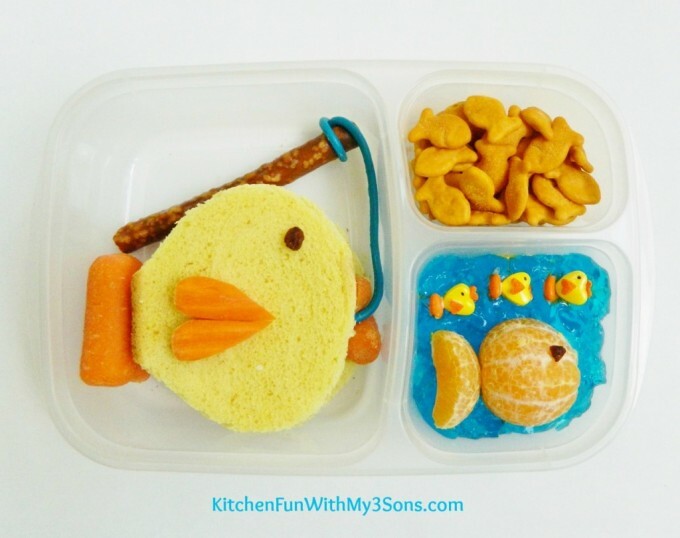 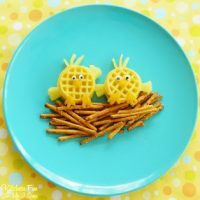 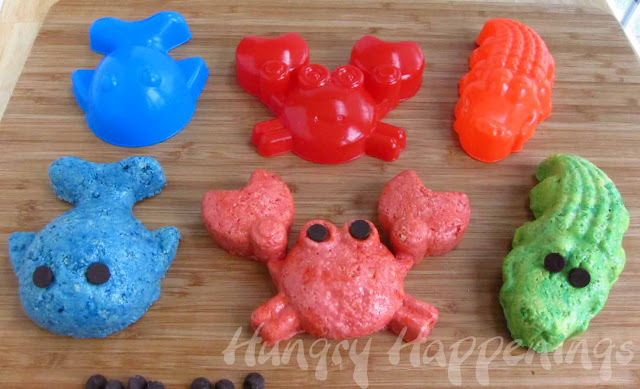 We have also teamed up with several other bloggers that have created the cutest ocean themed recipes to share with you today! 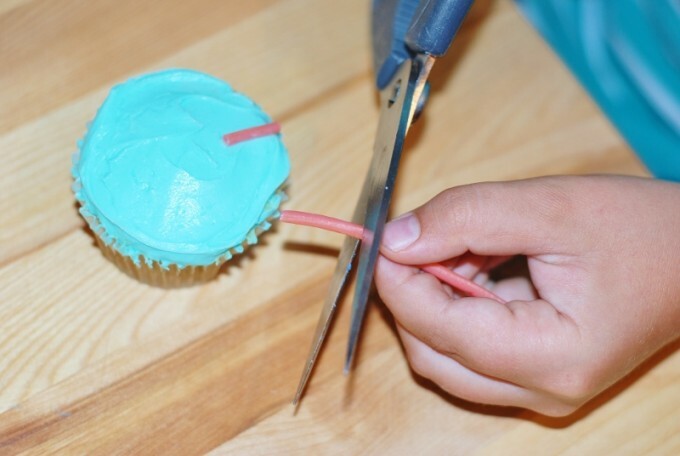 Now wasn’t that SO easy?! 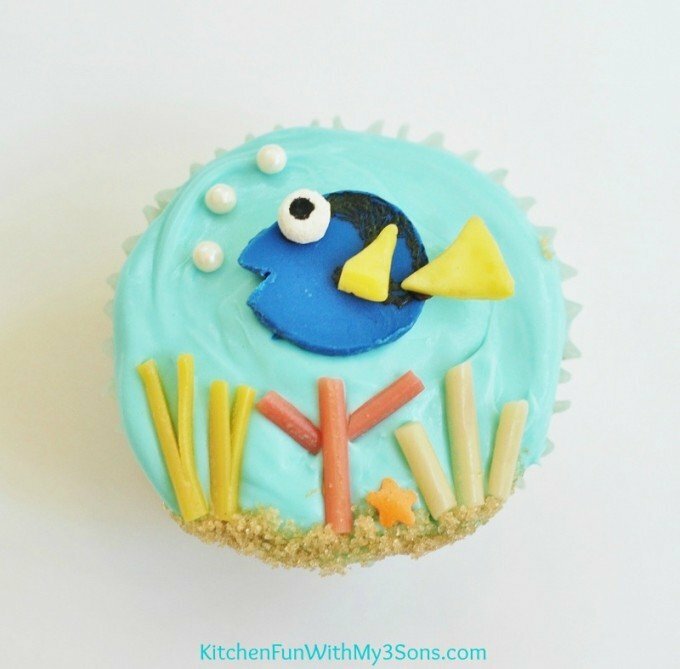 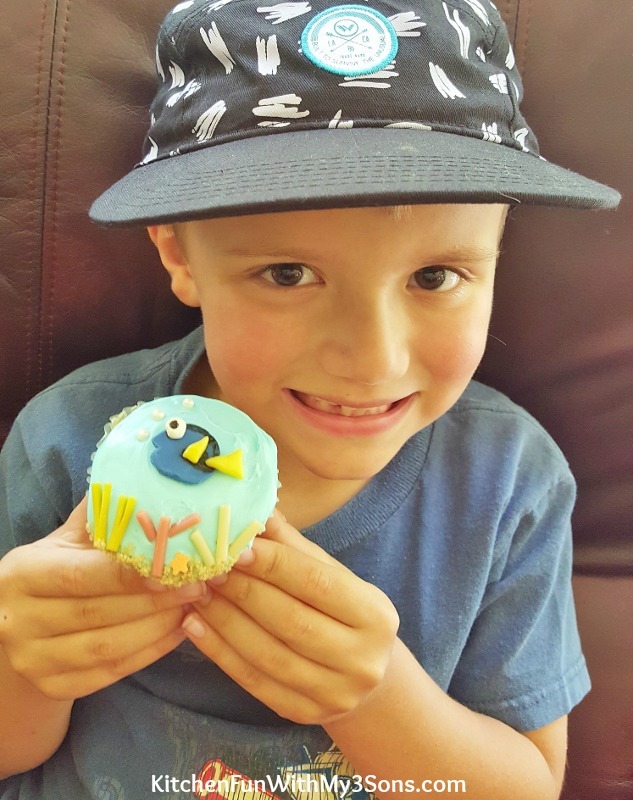 My 5 year old loved his Finding Dory Cupcake! 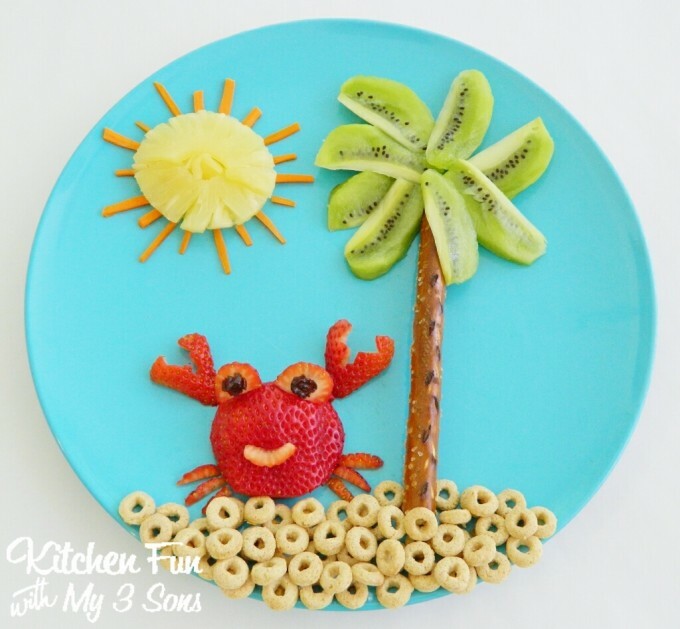 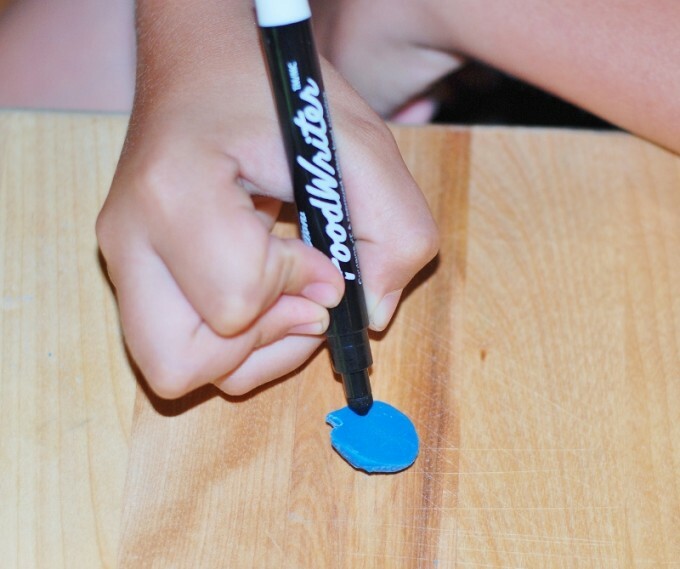 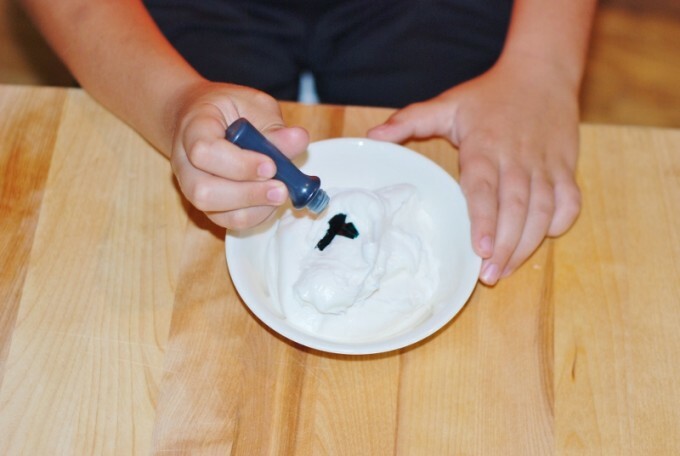 These are also fun for the kids to create. 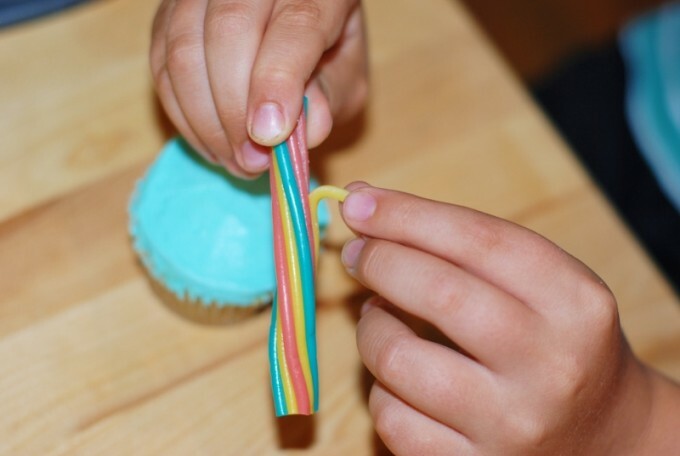 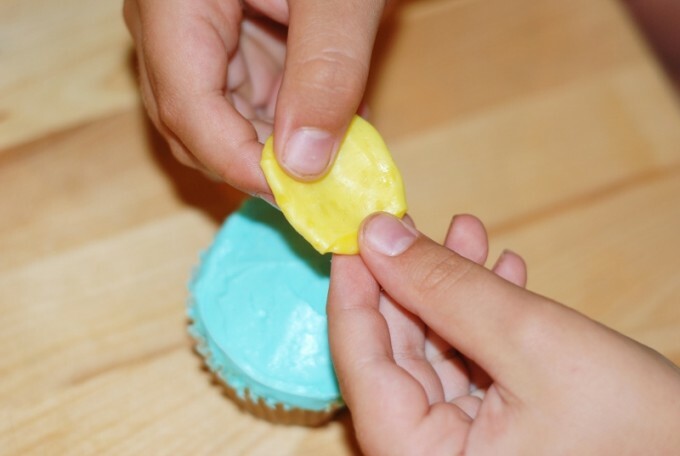 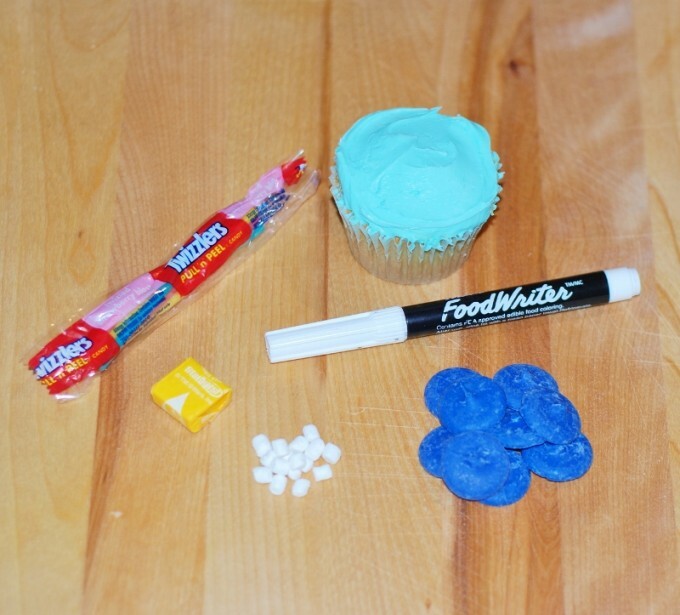 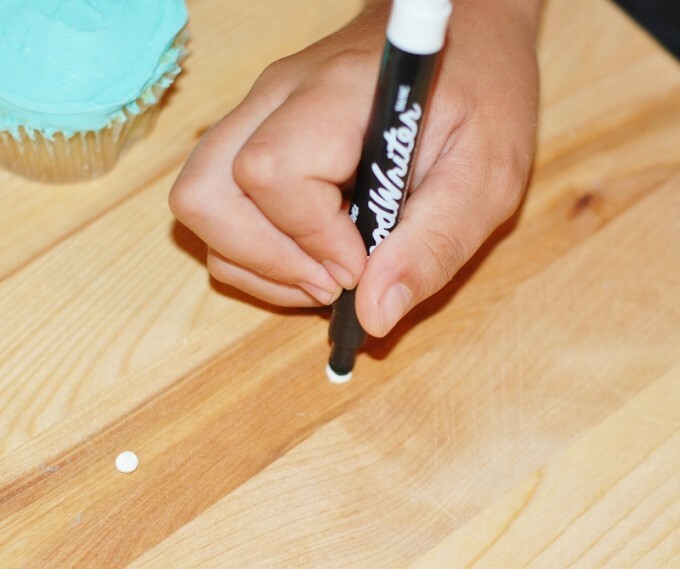 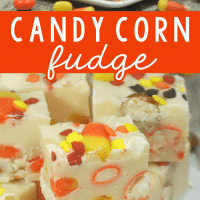 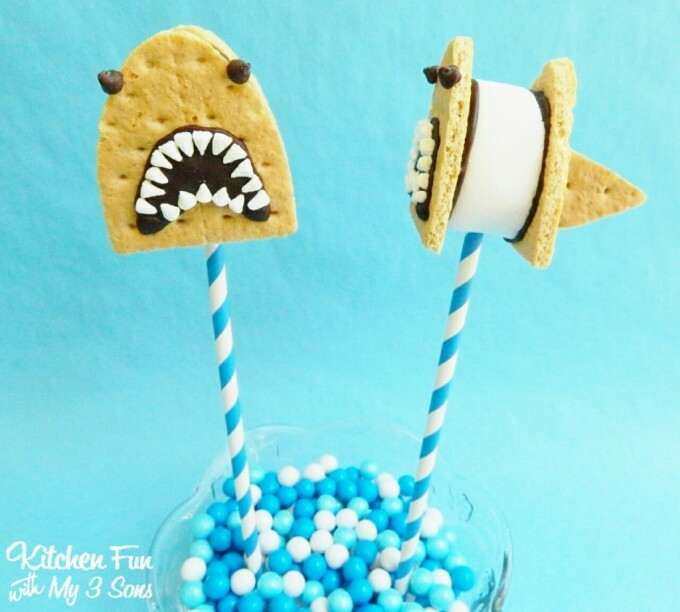 Let them get creative with candies that you have on hand! 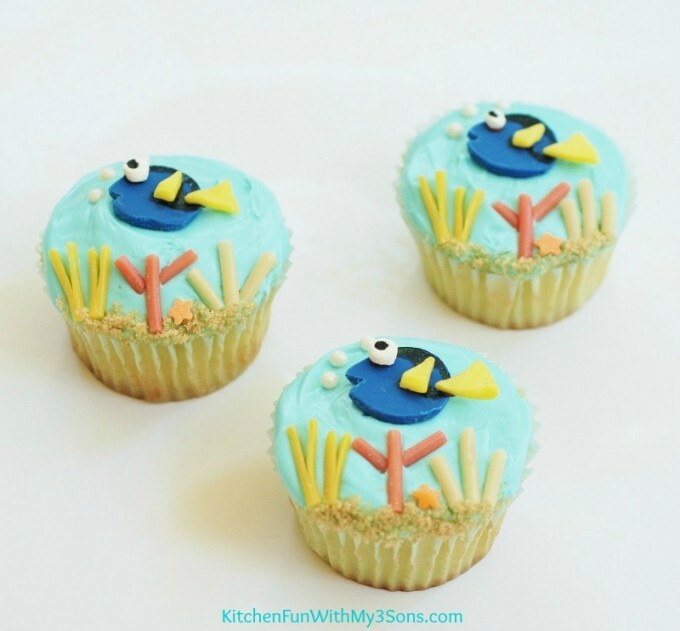 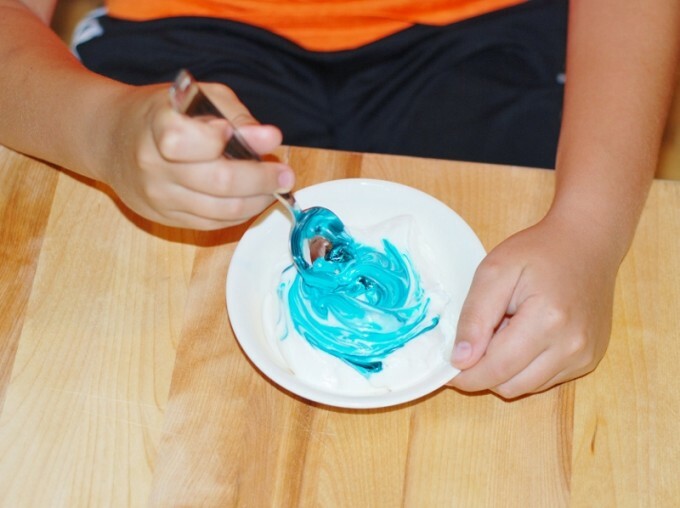 We have teamed up with 10 other creative bloggers sharing these awesome Ocean themed recipes…. 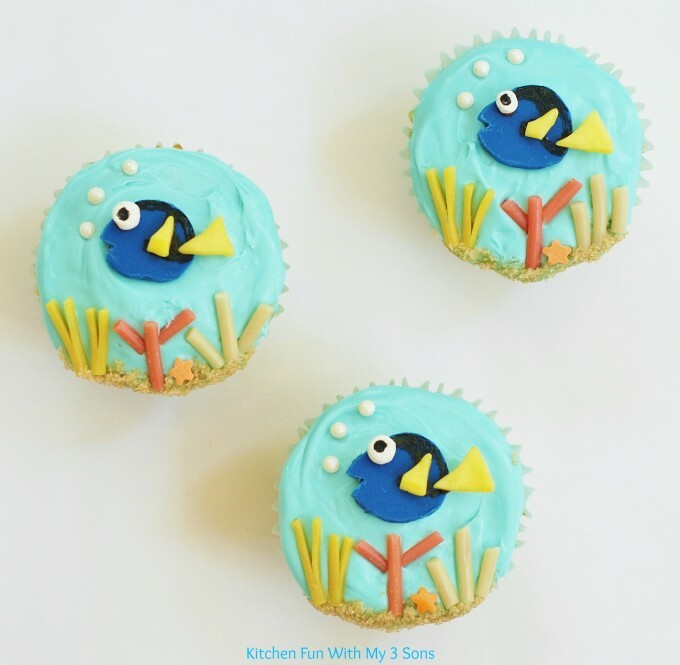 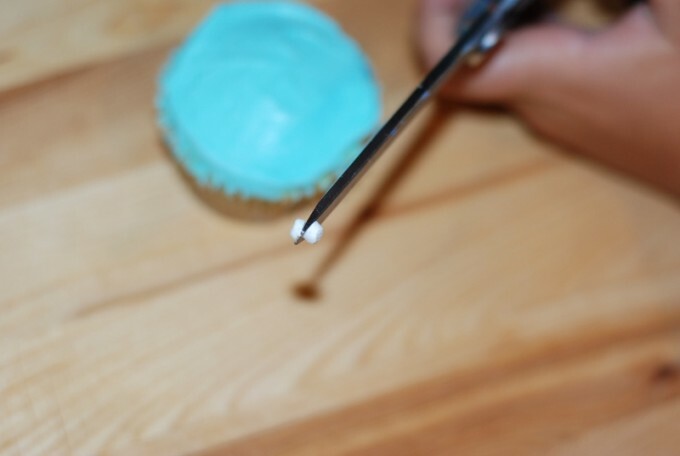 « Previous Post30+ of the BEST Cupcake Ideas & Recipes! 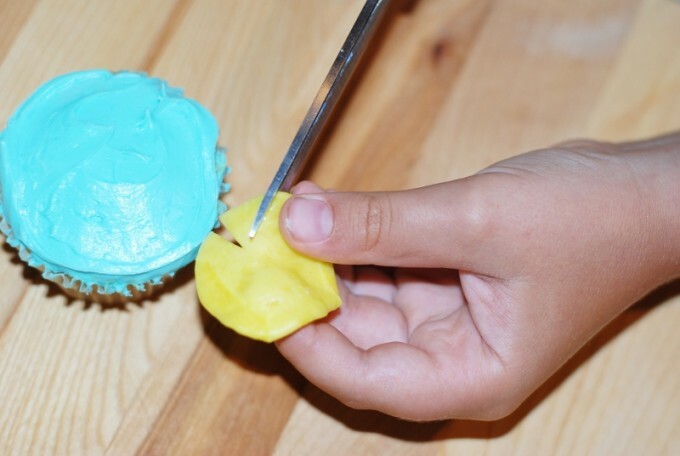 Next Post » Bacon, Toast, Egg and Cheese Muffins for Back to School!